Although it’s been public knowledge ever since Microsoft first reversed its stance on whether it was producing an MP3 player of its own, retailers and consumers are just now learning that Microsoft’s upcoming Zune player will not be utilizing the PlaysForSure DRM format the company had previously been promoting with independent partners. It’s not news. But with the official launch of the device just weeks away, and with Microsoft having announced its intention to shut down its major PlaysForSure music source, MSN Music, just prior to Zune’s launch, the stage is now being set for a potential customer backlash. Even sites launched in advance to make way for praise of the device are starting to show signs of skepticism. “Man, I hope these guys are onto something here,” writes the author of the ZuneLuv.com blog, whose logo now seems recently adorned with a question mark beside the name. Today, coverage from the BBC on both television and its Web site are being highly cited by blogs and potential customers, many of whom are learning of the incompatibility for the first time. Back in May, Microsoft rallied support from critical media partners in Japan, including JVC, NTT DoCoMo, and Toshiba — which is building the Zune hardware for Microsoft — with the intention of promoting the success of PlaysForSure overseas. At the time, many in the press speculated that the real reason for their coming together was to jointly build and distribute an “iPod killer” device. But Microsoft denied the meetings were for the purpose of preparing PlaysForSure for use with any device that would carry the Microsoft brand. It didn’t occur to us, admittedly, to even think the companies would be considering an alternate DRM approach. Then in July, Microsoft held meetings with prospective content partners for the rights to redistribute music and videos. At that time, the executives for those content firms — including movie studios — confirmed the existence of the meetings, though Microsoft denied them. 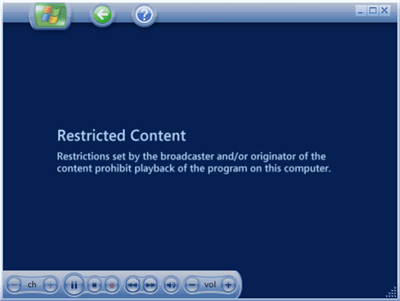 It seemed reasonable that Microsoft was creating a potentially expanded avenue for its existing Windows-oriented DRM scheme, around which parts of Windows Media Player evolve. But Microsoft spokespersons went so far this time as to flatly deny the company was planning to ever release an MP3 player under its own brand. In fairness, this could very well have been these spokespersons’ understanding of the truth as they saw it. When PlaysForSure partners expressed public confusion as to the existence of such meetings — which, one would think at first, would benefit them — it seemed something was afoot, but we weren’t certain what. Still, BetaNews was able to collect enough verified evidence of the existence of Project Argo, and broke the story of the Zune prototype project last July. In August, when specifications of the device were learned through Microsoft’s FCC approval petition — which, by law, is made public — even then, it only appeared that Microsoft would be using a more stringent version of PlaysForSure, although the company would not say how, or if, PlaysForSure would be amended to enable such restrictions. Last July, in a Q&A session with financial analysts, Microsoft’s president for entertainment and services, Robbie Bach, characterized the problem of supporting two approaches to DRM as a matter of scaling Windows in such a way that customers would see less of a difference. Such customers, presumably, would own both a Zune and a Creative Zen. While there are no signs of peaceful co-existence just yet, there also isn’t much sign of open warfare. Last month, a Creative Labs customer posted a question on the company’s public forum: “Why would Microsoft NOT add Plays For Sure to its own player? Just curious what you guys made of it.” There has been no official response.